Laura & Ann do! 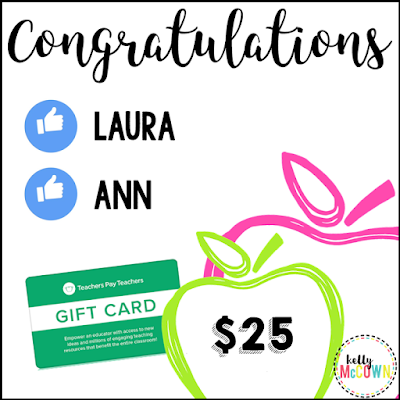 They both won a $25.00 TpT Gift Card today for being TpT Followers. I love helping fellow teachers get the resources they need to meet students' needs every month. Good Luck next month!